Lots to update on, (it’s been a while!!) 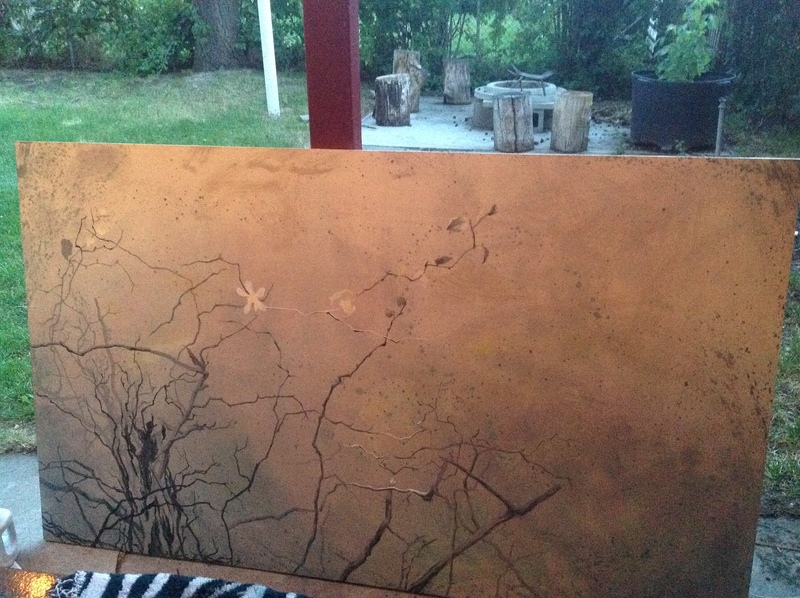 but I’ll toss this picture up – it’s a 3′ x 5′ commissioned painting on solid oak board. Very relaxing! !